John Peter Altgeld, the son of a illiterate farm labourer, was born in Selters, Germany on 30th December, 1847. The following year the family moved to the United States and settled in Mansfield, Ohio. After a brief schooling he started work on the family farm when he was twelve years old. Although only sixteen, on the outbreak of the Civil War Altgeld volunteered to fight in the Union Army. He fought under General Benjamin Butler in Virginia until falling ill with Chickahominy Fever (later known as malaria). Many of the regiment died but Altgeld managed to survive but the fever was to leave a permanent mark on his health. After the war Altgeld returned to Mansfield and enrolled in the local high school. After further studies at the Lexington Seminary he found work as a teacher in Woodville. Altgeld fell in love with a fellow teacher, Emma Ford, the daughter of a successful Ohio merchant. Altgeld proposed marriage but Emma's father refused permission as he considered him too poor for his daughter. Devastated by the news, Altgeld left town determined to make his fortune elsewhere. Altgeld became an itinerant worker in Arkansas, where he joined a railroad-building crew. Eventually Altgeld became a school teacher in Missouri. He continued to study until he qualified as a lawyer. A member of the Democratic Party, he developed a reputation for protecting the rights of the poor and in 1874 was elected district attorney of Andrew County. 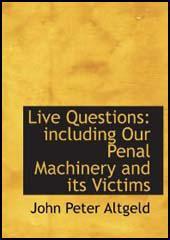 Altgeld moved to Chicago, Illinois, in 1875, where he wrote his book, Our Penal Machinery and Its Victims. The book, that argued that the United States criminal system favoured the rich over the poor, influenced a generation of social reformers, including the lawyer, Clarence Darrow and Jane Addams, the founder of the Hull House Settlement. In 1877 Altgeld returned to Ohio and married Emma Ford. Over the next few years Altgeld became a successful businessman. Altgeld specialized in the buying and selling of real estate. One of his most successful ventures was the purchase of the sixteen-story Unity Block in Chicago. Despite his wealth, Altgeld developed a strong sympathy for the plight of the poor. 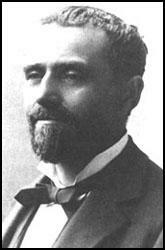 He became involved in politics and with the support of the Democrats and various socialist groups, Altgeld was elected Governor of Illinois in 1892. Once in power Altgeld's embarked on an ambitious program of social reform, which included attempts to prohibit child labour and the inspection of factories. This involved the employment of Florence Kelley as Chief Factory Inspector of Illinois. He also introduced a law prohibiting discrimination against trade union members. Kelley later commented: "My appointment (as chief factory inspector) dated from July 12, 1893. It was Governor Altgeld's definite intent to enforce to the uttermost limit this initial labor law throughout his term of office. He was a sombre figure; the relentless hardship of his experience as a boy and youth had left him embittered against fate, and against certain personal enemies, but infinitely tender towards the sufferings of childhood, old age and poverty. He was an able, experienced lawyer, and his sense of justice had been outraged by the conduct of the trial of the Anarchists." Brand Whitlock interviewed Altgeld in 1892: " There was a particular pallor in his countenance, and the face was such a blank mask of suffering and despair that, had it not been for the high intelligence that shone from his eyes, it must have impressed many as altogether lacking in expression. He had been a judge of the Circuit Court, and was known by his occasional addresses, his interviews and articles, as a publicist of radical and humanitarian tendencies. He was known especially to the laboring classes and to the poor, who, by that acute sympathy they possess, divined in him a friend, and in the circles of sociological workers and students, then so small and obscure as to make their views esoteric, he was recognized as one who understood and sympathized with their tendencies and ideas." Altgeld controversially pardoned three men, Oscar Neebe, Samuel Fielden and Michael Schwab, convicted after the Haymarket Bombing. He argued: "It is further shown here that much of the evidence given at the trial was a pure fabrication; that some of the prominent police officials, in their zeal, not only terrorized ignorant men by throwing them into prison and threatening them with torture if they refused to swear to anything desired but that they offered money and employment to those who would consent to do this. Further, that they deliberately planned to have fictitious conspiracies formed in order that they might get the glory of discovering them." In 1894 President Grover Cleveland and Attorney General Richard Olney sent in federal troops to deal with the Pullman Strike. Altgeld protested against this violation of state's rights, but the action was popular with industrialists in Illinois. During the 1896 election Altgeld was attacked by the media for his liberal record. Harper's Weekly described him as "the ambitious and unscrupulous Illinois communist". Theodore Roosevelt said Altgeld was "one who would connive at wholesale murder," and refering to the Haymarket Bombing added that he "condones and encourages the most infamous of murders". Altgeld was eventually defeated by John R. Tanner. Altgeld was defeated by the Republican candidate in the 1896 election as governor of Illinois and a further attempt in 1899 also ended in failure. He was also very ill with locomotor ataxia and as a result his business suffered. 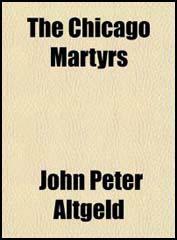 John Altgeld was employed as a lawyer by Clarence Darrow until he died of a cerebral hemorrhage on 11th March 1902. Judge Richards, a police judge in Astabula, gave me my first sane idea of crime and criminals. He gave me a little book, Our Penal Code and Its Victims by Judge John P. Altgeld, of Chicago, which was a revelation to me. This book and the author came to have a marked influence upon me and my future. My appointment (as chief factory inspector) dated from July 12, 1893. It was Governor Altgeld's definite intent to enforce to the uttermost limit this initial labor law throughout his term of office. He was a sombre figure; the relentless hardship of his experience as a boy and youth had left him embittered against fate, and against certain personal enemies, but infinitely tender towards the sufferings of childhood, old age and poverty. He was an able, experienced lawyer, and his sense of justice had been outraged by the conduct of the trial of the Anarchists. (4) Brand Whitlock first met John P. Altgeld while working for the Chicago Herald in 1892. There was a particular pallor in his countenance, and the face was such a blank mask of suffering and despair that, had it not been for the high intelligence that shone from his eyes, it must have impressed many as altogether lacking in expression. He had been a judge of the Circuit Court, and was known by his occasional addresses, his interviews and articles, as a publicist of radical and humanitarian tendencies. He was known especially to the laboring classes and to the poor, who, by that acute sympathy they possess, divined in him a friend, and in the circles of sociological workers and students, then so small and obscure as to make their views esoteric, he was recognized as one who understood and sympathized with their tendencies and ideas. (6) Brand Whitlock was working for John P. Altgeld when he decided to pardon the men convicted for the Haymarket Bombers in June, 1893. Glance over this majestic city, see its workshops, its warehouses, its commercial palaces, its office temples, and the thousand other structures that show the possibilities of human achievement and tell who did all this. You say the laboring men: yes, that is correct. We are at present in the midst of a great industrial and commercial depression. Industry is nearly at a standstill all over the earth. The consumptive power, or rather the purchasing power, of the world has been interfered with, producing not only a derangement but a paralysis, not only stopping further production but preventing the proper distribution of what there is already created; so that we have the anomalous spectacle of abundant food products, on the one hand, and hungry men without bread, on the other; abundant fabrics, on the one hand, and industrious, frugal men going half-clad, on the other. On the 12th day of March, 1902, Governor Altgeld went down to Joliet, about forty miles from Chicago. For many years his heart had not been good. He had never seemed very strong. Before going to Joliet he had been in court all day and was very tired that night. He went directly from the train into a crowded hall and immediately began his plea for the Boers. He fell and was removed from the stage; and for several days his frail body was wracked with vomiting and pain. About midnight he was dead. He lay in state in the Public Library Building. All day long the people filed past and lavished their loving looks upon their great and brave champion, John P. Altgeld. It was the same throng that had so often hung upon his courageous words from many a forum; the same inarticulate mass for whose cause he had given his voice and his life. For the funeral, Miss Jane Addams, of Hull House, a woman of rare ideals and intelligence, was asked to speak. Governor Altgeld had long admired Miss Addams, and was often a visitor at Hull House, and she had always understood and appreciated the fearlessness and unselfishness of the man. Her words were simple and sensible, such as she always uses. I also had the rare privilege of saying a few words of the many that welled from my heart, overflowing with admiration and affection and pain for a lost idol.